One of the most kid friendly, amazing climbing areas we love to go is Arco! Why - Arco is beautiful, and perfect for anyone who loves climbing, biking, wind surfing, or simply seeing a beautiful part of Italy. And best of all, it is a great area to travel with kids. 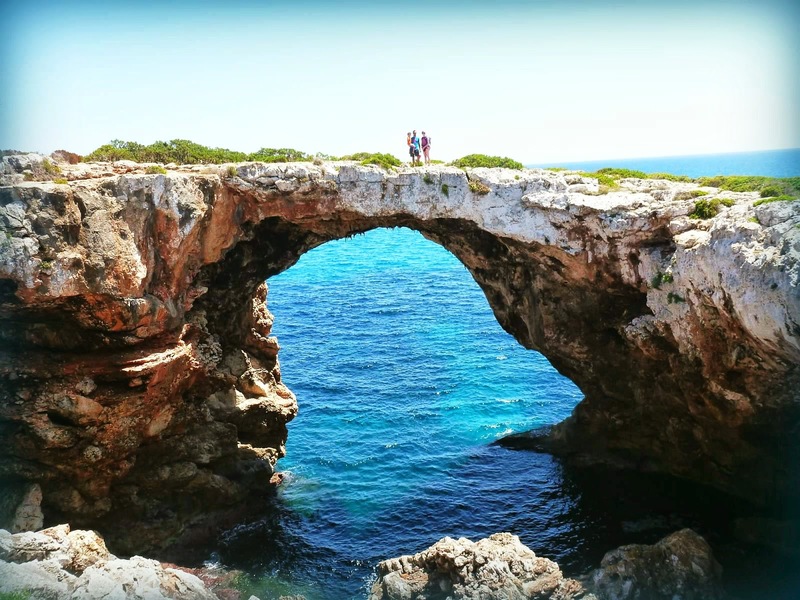 We have been 5 or 6 times now with our little ones, and have always had wonderful weather, great climbing, and fun touring the area. 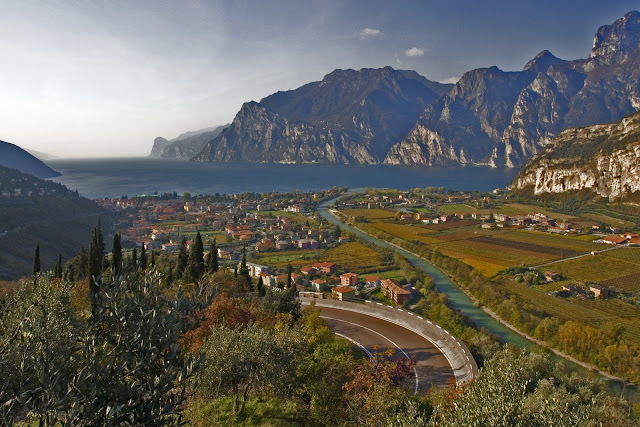 Where - Arco is located at the top of the beautiful touristy Lake Garda, in northern Italy. If you are wanting to see some of Italy, as well as getting in some excellent climbing while visiting Europe, this is the place to go. Verona is only an hour away, Milan 2.5 hours away, Venice 2 hours. Lake Garda has enough small towns/castles/and theme parks to keep you busy for at least 2 weeks as well. When - Climbing is awesome in the fall and spring, but we have also lucked out throughout the winter (Christmas Break and Thanksgiving Break and even in February). Summer would be excellent for the lake, and there are shady crags, but we like to avoid the crowds. Accommodations - There are tons of hotels and apartments you can find by googling, but we always prefer to stay at either http://www.guesthouse-arco.com/en_arco.php or http://www.lacolombera.it/residence_eng.php. Both are very close to the climbing, are kid friendly, and you have your own apartment so you can prepare dinner and breakfast and not deal with the stresses of going out with kids and save some money. La Colombera has a sandpit, slide, and swings even for the little ones! Food - We had a lot of trouble finding any places open in the winter season for eating lunch. For dinners, the restaurants opened around 6, but many are not open in winter still. 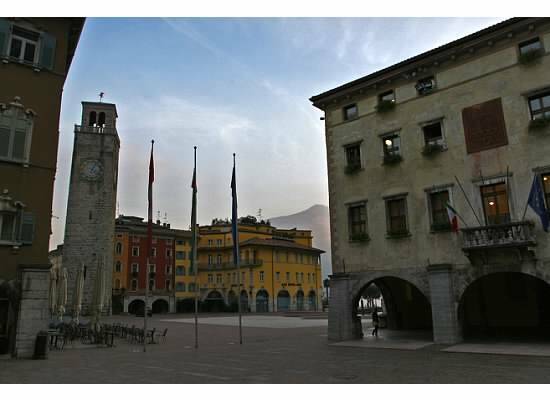 Riva has a lot of nice pizzerias and cafes right on the lake. Arco has a lot of pizzerias as well and will even let you order them for carry out. We like to stock up at the grocery store in Riva the first day we get there with fresh pasta, sauce, pesto, and fruits and veggies. Easy to make dinner in 20 minutes after coming back late from climbing that way... And we bring a baguette with cheese and salami and snacks for lunch at the crag in the day. Look for Kinder Eggs by the check out for a nice treat for the kids at the crag (a chocolate milky egg with a toy inside they get to put together). They aren't sold in the US because of the choking hazard of the toy size, but are super popular over here for a reason! Crags - It's hard for us to go anywhere other than Massone. This is by far the most popular crag, but it is so great with kids and right in town. It has TONS of routes of all grades and the setting is perfect, olive groves. Our oldest son, who is now 3, loves to play with the olives and the rocks, playing on his own for hours at a time at this place. And you don't have to worry about too many areas with steep drop offs. Most of the belay areas are flat and large. Another favorite is right up by the castle in Arco. Same setting, olive groves, nice and easy with the kids. And of course, the routes are amazing at both. 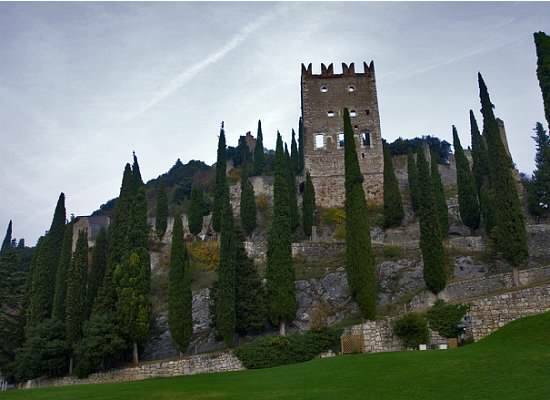 What to do in the Area - On our latest trip, we visit Thermal Lake Garda http://www.villadeicedri.it/eng/parco_main_prova.html. It was expensive, but well worth it. Beautiful gardens and huge thermally heated outdoor lakes! They are so warm and wonderful, especially in cool weather, and open year round. Verona is also a city that is well worth a visit. Gardaland, which is Italy's largest theme park, Movie Studios Park, and Aqua Paradise Park (a nice waterpark), are all close to each other next to the town of Pacengo. The parks are open from Easter until Halloween and run complimentary buses around the lake from all of the major towns to the parks. All are worth visiting. Other Info - Arco has 3 or 4 really nice climbing shops in town where you can buy the guidebook Arco Rock (which is in English) and any gear you might need. You can also find some free route/crag information online at websites such as http://www.coronn.com/TOPOS/italy/arco/arco.html. If you have any questions, leave a comment and I'll try to respond. Looks amazing! We're going to have trouble deciding. We'll be travelling in July/August, do you think Massone would be too hot? Do you have any other kid-friendly crag ideas for summer? Wow, what an amazing place! And that last picture is just priceless.